One of the best things about talking to people about Britpop, whether through the radio shows, facebook, twitter or this blog, is that they are always keen to share their likes and dislikes. 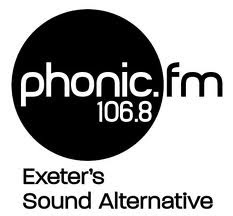 Many of the bands that we play on the show have actually been suggested by our listeners and sometimes I've been blissfully unaware of their existence before. Case in point, Bennet. 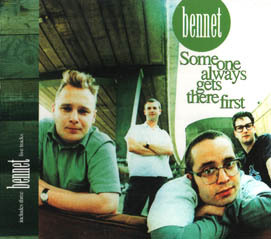 Now not many people have requested Bennet but those that do always make a point about what a good band they were. Looking into them I immediately remember Mum's Gone To Iceland a number 34 hit in 1997. For those not in the UK, it is not a tale of Scandinavian emigration but rather a eulogy to a frozen food store. It simultaneously sums them up and does them a disservice. It is typical in that the riffing guitars, melodic bassline, energy, witty lyrics (it's actually a song about consumerism) and sense of humour are found across a lot of Bennet's music. The disservice is that it pigeon-holed them as something of a novelty band, and that is why I'm writing this blog piece. It's a decent enough song but they have better. It was the fifth single from the album for heaven's sake but it happened to be the only one that charted. But let's start at the beginning. Consisting of Jonny Peer (Vocals, Guitar), Jason Applin (Vocals, Guitar), Kevin Moorey (Drums) and the eponymous Andy Bennett (Bass), the band formed in Reading in 1993. 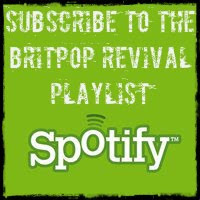 They signed a deal with Roadrunner Records in 1995 at the height of the Britpop bloom. Probably a Bennet LP in there! The early singles Curley Shirley, If You Met Me Then You'd Like Me and Colossal Man met with some success in the indie charts and the mighty John Peel was said to be a fan - having them in for one of his famous sessions. (If anyone has a recording of that I would love to hear it - get in touch!). Then came what for me was their finest hour Someone Always Gets There First, a poignant tale of love not so much lost as never won, set to crunching guitars and sporting a killer tune. Bearing in mind at this point in the 90s the charts were at least 50% guitar music it is a mystery how this only made in to number 69. It was even re-released after the success of Iceland but to no avail. This probably makes it into my top 10 favourite songs. It was also the first single that they made a video for - but that doesn't seem to be available online so here's the audio. Mum's Gone To Iceland was a hit, they were touring with the likes of Dodgy and Echobelly, playing the festivals - surely this was the platform for bigger and better things? Sadly it was not to be and this turned out to be their zenith. Their next album Street vs. Science was released the following year to decidedly cool reviews and didn't sell. The band split shortly afterwards, never to be heard from again. For what it's worth I like Street vs. Science, the overall quality may not be up to the standards of their first but when it's good it's very good. I played a track from it on last week's radio show. And that was Bennet. If you've never heard their stuff I strongly suggest that you dig out a copy of Super Natural (you can get hold of a used copy on Amazon for a couple of quid, go on you know you want to). I think you'll like it. For a full Bennet discography and other info, click here. 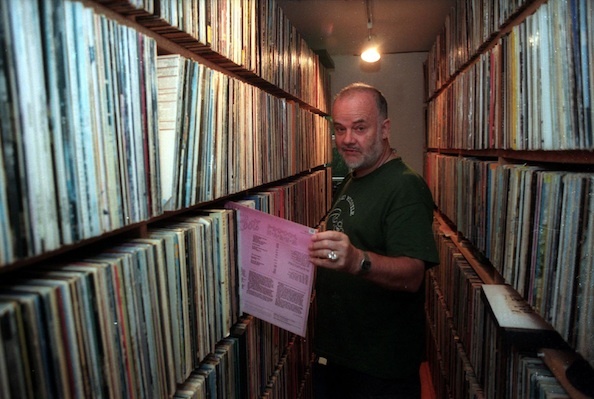 Both the BENNET PEEL sessions are there as well….